A local anesthetic is applied to the area that will undergo the procedure. Your dentist will then remove any decayed tooth that may be remaining and insert a titanium post into the jawbone. The titanium post acts as the new tooth root and is biocompatible, so there is no worry of tissue rejection. 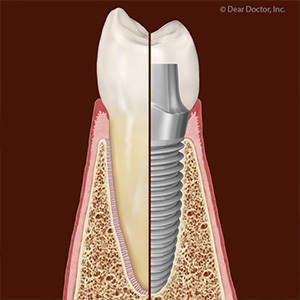 The doctor will then surgically close the area and allow it to heal for a period of 3 to 6 months while osseointegration takes its full course (this is the process where titanium fuses to the jawbone to provide reinforcement). 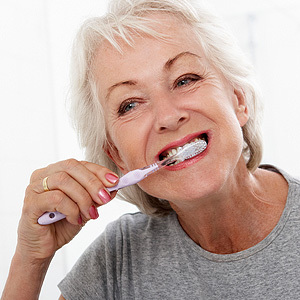 When you return, your Lancaster dentist will re-open the area, insert an abutment, and place a crown over the abutment that matches the rest of your teeth. At 95 percent, implants have a high success rate. If you have questions or concerns, Dr. Roland Markarian can help you out. Call (661) 948-8100 in Lancaster, CA, to make an appoint today!